TLC Carpet Cleaning London brings you a service that will keep your home carpet clean for longer. We are London’s best carpet cleaners with several of hands-on experience. Be it a wall-to-wall carpet, Persian or oriental rug, our technicians can take care for all types of textile flooring. We use advanced steam cleaning methods to deliver lasting results for our customers. Call our office now on 020 3857 1550 to book our professional carpet cleaning service in London. Carpet Cleaning London Expert Team! Our professional carpet cleaners keep their skills and knowledge up to date with regular training. We follow NCCA and IICRC guidelines strictly to ensure our customers total satisfaction and lasting clean results. Our local technicians can be of help to both residents or business owners. They possess the required expertise and operational insight to treat all types of textile flooring and fabrics. Why Choose TLC Carpet Cleaning London? Fully insured and certified technicians – our local cleaners know how to get the best results for your home carpet. Advanced and powerful equipment – we work with the best teams, but we also invest in the best machines and tools available the market by Karcher and Pro Chem. Pet and family friendly products – we take every precaution to protect your family when providing high-quality clean results for your home. Effective steam cleaning methods – our technicians use the latest and most effective hot water extraction techniques to get your rug or carpet cleaned. Stains or blemishes don’t stand a chance – we pre-treat and condition stubborn stains with a range of efficient products to remove them completely. 100% Clean Guarantee – we at TLC stand by our work. So, you get our full clean guarantee for every job done by us. Otherwise, we will re-clean your carpet for free. No bait and switch tactics – you can be absolutely sure you get the price we quote. We don’t apply hidden fees or charge you additionally after you have already paid. 7 Days a week service – we know well that living in London can be difficult. Thus we work on dates that are convenient for you. No matter if your home or place of business is located in North, South, East or West London. As a true carpet cleaning company, we cover all major areas and boroughs within the M25 ring. We have teams of local cleaners in to cover most areas. You can rely on our fast, reliable and always friendly technicians to deliver a thorough and deep cleaning care for your home furnishings – wall-to-wall carpet, area rug, upholstered furniture or even mattress. Superb Cleaning Service – 24/7! You can book TLC Carpet Cleaning London on 020 3857 1550. Just give us few details to receive an absolutely free of charge price quote. Our friendly operator will take your call and provide assistance through the booking process. You can be sure our professional technicians will arrive on-time, uniformed and equipped with the latest and most effective steam cleaning machines. All your home carpet needs is a little bit of TLC Carpet Cleaning London! Due to the nature of London and how many people move here for work and then head back to their home town. We have stuck up a few partnerships with other carpet cleaning companies. These company come highly recommended and if you mention TLC then you will get a 5% discount in addition to priority placement to be booked in. We Move and Clean is our recommendation in Swindon. Run by Lucas Abraham since 2006. 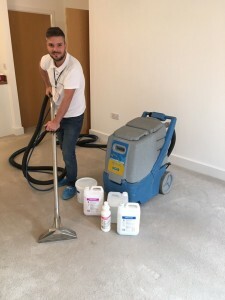 If you need deep steam carpet cleaning in Swindon or close by as their service area covers all surrounding towns then this really is the company that you should choose to go with. We have known Lucas and been recommending him for about three years now. All the client feedback is nothing but positive. Check them out on Google and you will see they have hundreds of reviews! You can check out the We Move and Clean website also. Clean Victoria is our recommendation in Tyne and Wear. Paul, the owner, covers the entire region but he mainly deals with carpet cleaning and upholstery cleaning in Gateshead. We have known Paul for about five years now and have been happily recommend his company. We probably refer about 2 people a week to Clean Victoria Gateshead with how many client we have that call London their second home but Newcastle their real home.